Ethereum (ETH) operates on its own blockchain. ETH is minting through the mining process. The total supply of Ethereum that will ever be issued is 105.81 Million coins, and the current supply of ETH in circulation is 105.81 Million coins. Current Ethereum price is $ 157 moved down to -4.69% for the last 24 hours. All time high (ATH) price of Ethereum reached $ 1,421 on 10th Jan 2018 and fallen -89.0% from it. Ethereum's share of the entire cryptocurrency market is 9.39% with the market capitalization of $ 16.61 Billion. Ethereum’s 24 trading volume is $ 5.88 Billion. It is trading on 241 markets and 77 Exchanges . 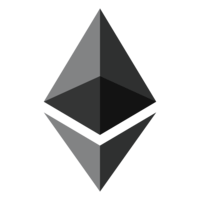 Find more details about Ethereum cryptocurrency at the official website and on the block explorer. Ethereum price Index provides the latest ETH price in US Dollars and BTC using an average from the world's leading crypto exchanges. The Ethereum to USD chart is designed for users to instantly see the changes that occur on the market and predicts what will come next. Ethereum (ETH) is an open-source, blockchain-based distributed computing platform featuring a smart contract (scripting) functionality. The cryptocurrency provided by Ethereum is known as Ether and it is transferred from one account to another to compensate participant nodes for performed computations. In stark contrast to Bitcoin, Litecoin and other forms of cryptocurrency, Ethereum is used mainly as a computing platform and not as a payment system. Participants share computing powers to provide the system with fuel, in a process more commonly known as mining, and in return, the system provides them with Ethers. In order to use this platform, you need to either mine Ethers and pay using them or purchase some from others. It gives users an opportunity to build and deploy decentralized apps and therefore make use of the processing power. Ethereum is also used as a platform for launching different cryptocurrencies. The ERC20 token is defined as a standard by the Ethereum Foundation. Developers of other currencies are able to use the token as a template to earn money with an ICO. Ethereum was launched on 30th July 2015, and soon the first transactions followed. It took just a month for Ether coins to start being sold for 1 to 3 USD. By August that year, the price had set firmly at $1, which stayed that way until the New year. Then, from January 2016 onwards, the price increased steadily, with Ether coins being sold in June for as much as $18. Around that time the project named DAO was being crowdfunded through Ether. The ICO was drawn to a halt, as later in June there was an exploit discovered that allowed a hacker to take millions of Ether from the amount achieved by the crowdfunding for DAO. The value of Ether took a slump then and stayed at approximately $11 until March of the following year, then the $18 threshold was passed. One of the major reasons for this was the conflict in the community that erupted between members who considered that the protocol should be changed and those who thought it should remain the same. Following that, as of Jan 2018, the value of an ether has risen to $1421 per coin. The easiest and quickest way to buy Ethereum is directly from someone who already owns it. You can ask a person who owns ETH to transfer it to the address of your wallet and then pay him the money back, either in person, by bank transfer or using PayPal. The downside of this method is that it requires that there is a level of trust between two parties. This means it’s not always easy to go through with if you are buying for the first time. As a way of making it easier and less stressful, there are many established and reputable services that sell cryptocurrencies, including the aforementioned Ether, for the fiat currency of your choice. By doing it this way, you will send the compensation to them first, based on their reputation, and they will then credit the appropriate address with the correct amount of ether. Another great way you can obtain Ethereum is by exchanging another cryptocurrency you already own for it. To do this, you need to use an online cryptocurrency exchange.